Share the buzz. Share the DiveBuzz! To slowly slip beneath the surface of our amazing blue planet and witness, first hand, the labyrinth of creatures in their complex ecosystems is pure privilege. To not only observe, but to become truly one with this alien world is nothing short of spectacular. Whether you are new to diving, or a seasoned professional, divers share a common passion for our underwater world. It is this passion that lures us back, time and time again to get our fix, to feed our addiction, to get our buzz. Every diver remembers their first DiveBuzz. That first jaw dropping encounter, the Whaleshark, the Manta Ray, the rare Nudibranch, or even just that first effortless glide into the blue. Impossible to fully describe, and an experience, almost an emotion, that non-divers will never fully appreciate. After your first DiveBuzz, the infatuation is embedded in your spirit, the addiction needs to be satisfied. The search commences for that eternal sense of wonder, the perfect dive, the perfect techniques, the perfect gear, the perfect photo. You are hooked, and DiveBuzz is here to help! At DiveBuzz, we are as passionate about sharing as we are about diving. So, whether you are new to diving, or have been diving for many years, DiveBuzz’s mission is to create an environment where divers can share experiences, learn new skills, find new dive locations, help protect the underwater world and get inspired. So dive in, explore and contribute. Get in touch, write an article and help other divers discover, experience and share the passion. Where will you find your next DiveBuzz? It was this same passion for life, nature and the outdoors that initially attracted the founding couple together in early 2000. Janine (or “J9″ as she is known) was already a PADI Advanced Openwater diver, and it did not take much for her to convince Howard to get certified whilst on holiday in Thailand. Soon after, the couple relocated to Sydney in pursuit of their original careers, Janine being a Chartered Accountant and seasoned Senior Finance Executive and Howard, a talented Web and Print Designer. Following relocation, Janine and Howard quickly discovered the delights of underwater Sydney and became incurably hooked on diving. For the next eight years, they dived up and down the east coast of Australia, South East Asia and the South Pacific. It was this addiction that ultimately led them to pursue diving as a career. After both progressing through to the PADI Instructor rankings and teaching numerous courses in Sydney on weekends and evenings, the couple decided to take the ultimate plunge by both resigning from successful, stable professional full time jobs in their original careers! For the next three years, Cairns, the gateway to the Great Barrier Reef, became their home. Diving was not only a passion, but was now a career, a way of life and continues to be an obsession for Janine and Howard. The couple live and breathe diving with the same passion and enthusiasm that they initially gained from the sport. They are currently back living in Sydney, enjoying the temperate waters after three years of full time tropical water diving. It’s no exaggeration to say that, even after all these years of diving, every conversation, every day off or every holiday involves diving in some shape or form. Janine continues to pursue her love for diver training with her unique energy, style and passion and has trained over 1000 divers from Open Water to Divemaster level. Her mission: to produce high quality, educated and environmentally aware divers to share her passion for the underwater world and help protect this world for future generations. 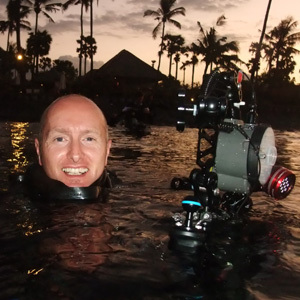 Howard, also a Dive Instructor, diversified into underwater photography and videography, passions that closely align with his design background. During their three years in Cairns, he completed over 1000 solo photography and videography dives, working for Scubapix as the onboard Photo Pro on both liveaboards and day boats. With an eye for detail and a passion for great design, his mission is to capture and share the wonder and beauty of the underwater world. With powerful and emotive visual imagery, he hopes to instill a feeling of responsibility in everyone protecting our oceans, their inhabitants and ecosystems. 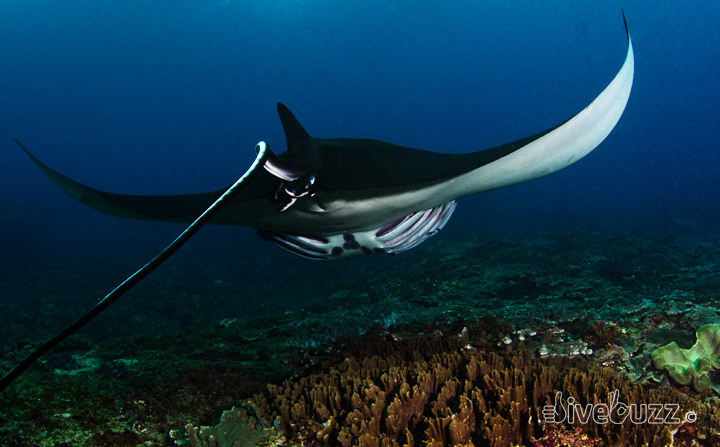 All images on divebuzz.com are Howard’s images, unless otherwise credited. Janine and Howard established DiveBuzz in 2011 after identifying a gap in the market for a well designed, well informed and well written website with quality imagery for divers, by divers. This philosophy is also shared on their active Facebook Page. Their aim: to create a platform to share a passion for SCUBA diving with like-minded individuals who have got the DiveBuzz. Have you got the Divebuzz? Share the buzz, share the DiveBuzz!